I just attended the funeral of my father-in-law who passed a few days ago of the same thing Lindy died of. You might say that’s not too odd since they have the same genes. Lindy was adopted. That makes that rather odd. Lindy was estranged from her father for the last several years, which means my relationship with him was non-existent. I saw him at Lindy’s funeral and we were very friendly to each other. I was able to put the anger towards him aside so we could honor Lindy’s life. Earle was always a friendly guy to me and we only had one major falling out. That falling out only fueled Lindy’s position on her father. A few days before he passed, thanks to her brothers wife for reaching out to me, Lindy’s father and I had a heart to heart. I am very thankful she told me about his tumor when she did. Earle and I had a very hearttrending conversation that put us both at peace and understanding about Lindy and his relationship with her. I was able to understand more about it. More important: he got some closure before he passed. Peace for him that Lindy never stopped loving him; peace for me that I might have completed something for both of them by reaching out. At the time of our conversation he was confident that his impending surgery would allow him to live a few more years, as I thought as well. Little did we know that he would pass 3 days later. You never know where the stepping stones of life will take you. The day of our conversation it led to something good. Today, it ended one part of my journey and created some open doors with the in-laws I never had. Time will tell how that will unfold. Looking forward to it. Exciting to see what God might do there. The ‘Post Lindy’ journey has been one of real character building and learning about me. It’s been one of learning to appreciate what her and I had more and more every day. I may not be able to see her in this life again, but I can continue to keep her memory alive by honoring what I feel deep down she would want me to do. “And I am certain that God, who began the good work within you, will continue his work until it is finally finished on the day when Christ Jesus returns”. My brother-in-laws wife reached out to me last week to inform me of Earle’s tumor. Something inside me felt I should reach out immediately. The name of that ‘something’ was God urging me that NOW was the time to reach out. I’m glad I did. I called him the next day and we had a great conversation that shed tears for both of us. I feel like we resolved things for both of us. I always liked Earle the few times we hung out. When we visited his home in Arkansas he was extremely hospitable, and even upgraded our TV at Best Buy! During our last conversation a few days ago he seemed optimistic that he would beat this. The tumor was operable. He was scheduled for surgery a week later. Unfortunately, his funeral would be the day his surgery was slated for. I thank God we were able to have that conversation when we did. I believe he and Lindy are in heaven together mending fences right now or laughing at it all. I for one will live life with that hope. I never liked that they weren’t able to resolve things on this side of heaven. I know Earle loved his daughter. I know she loved him too. God rest his soul. God grant peace to his son and his family, as well as, Earle’s wife. We are all left to make sense of things now. Or maybe the lesson here is another cliche. Life is too short to get caught up in long drawn out petty differences with the ones you love. 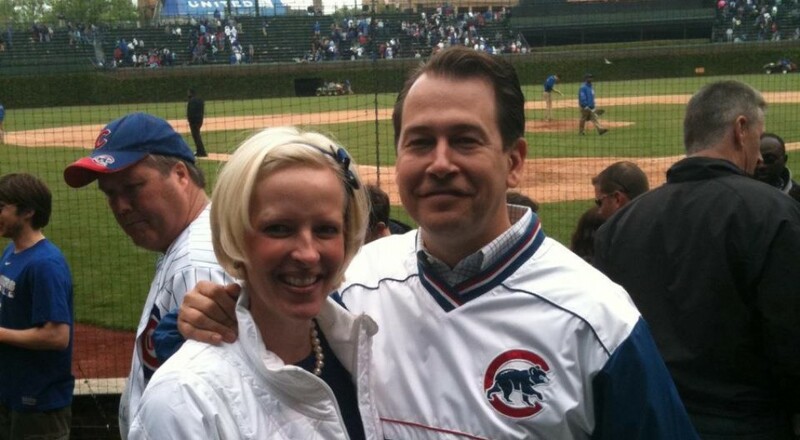 That’s the one thing Lindy’s tumor brought into our marriage: we couldn’t let fights last. God only knew how long we had together. Immediate reconciliation was our only choice. I pray that become the norm in my life with my relationships going forward. This experience makes me realize that life is too fragile to take one minute for granted. A truism I pray I never forget. Posted on September 13, 2013 October 16, 2013 by michaelpaulcox	Bookmark the permalink.